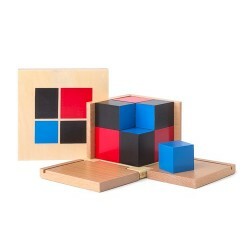 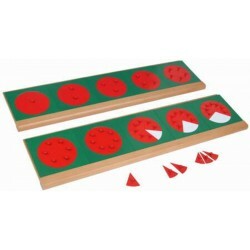 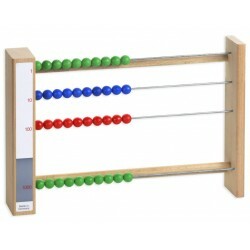 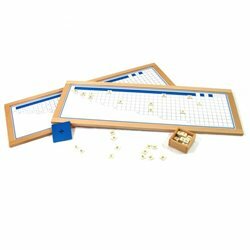 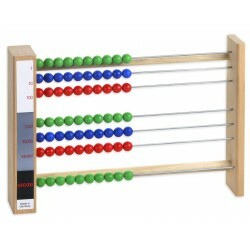 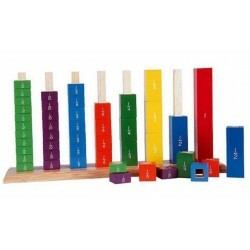 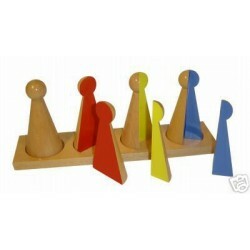 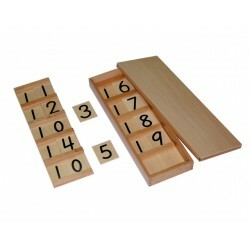 Division is especially easy to learn with the division box. 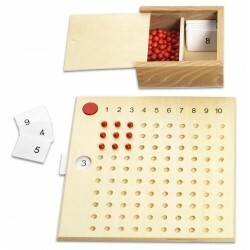 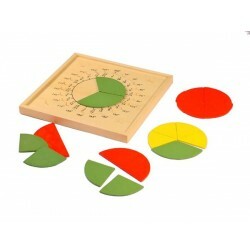 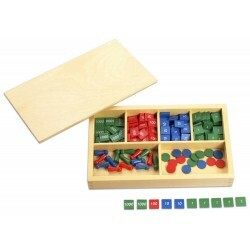 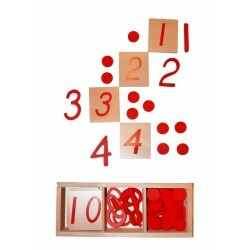 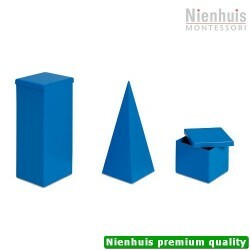 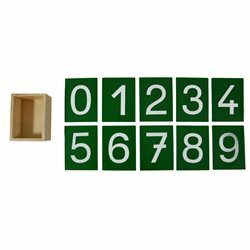 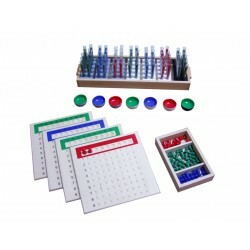 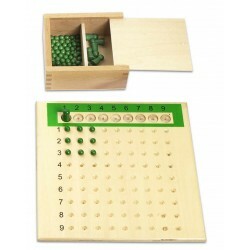 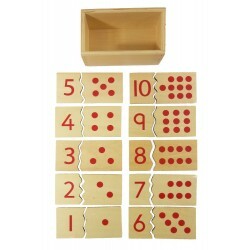 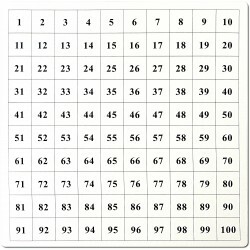 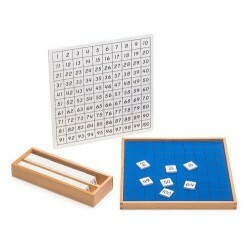 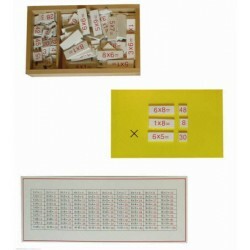 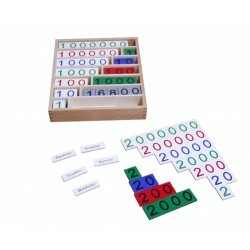 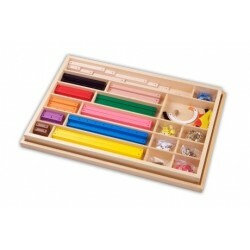 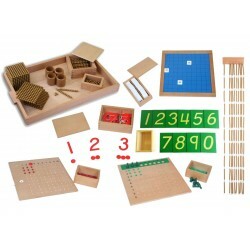 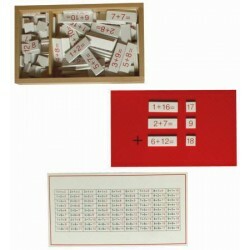 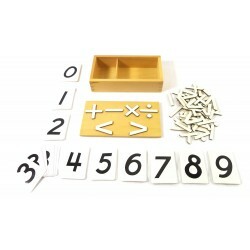 The box contains tasks for division of numbers up to a TOTAL of 81 and their solutions. 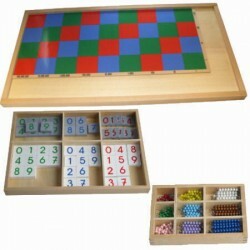 With the included control table. 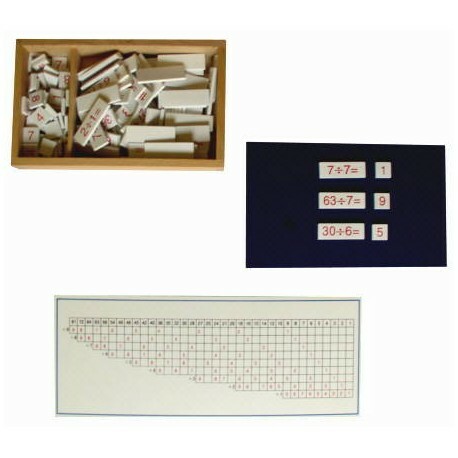 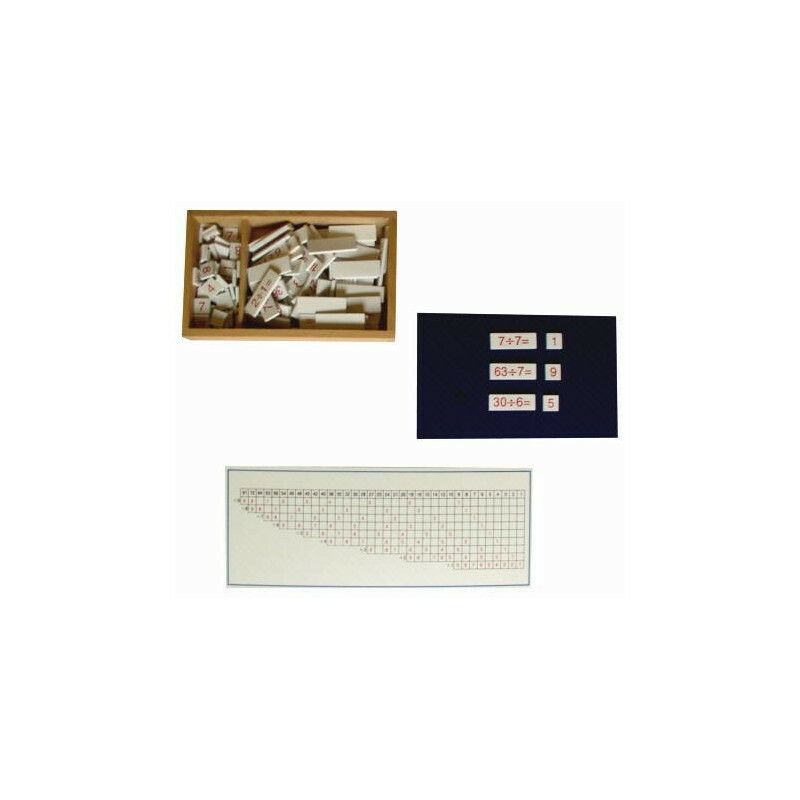 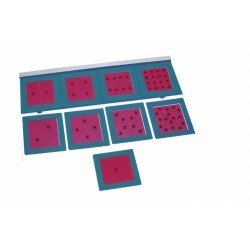 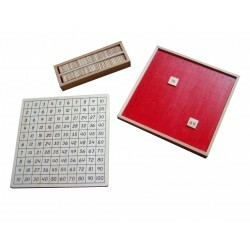 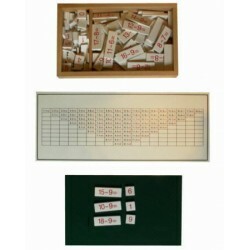 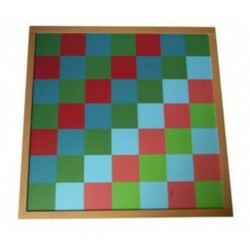 Wooden box with problems and solutions on laminated plates of hardboard.